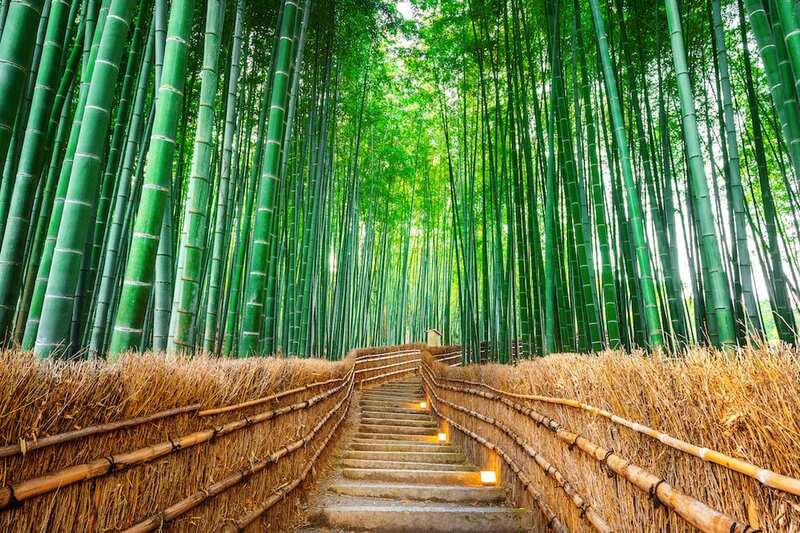 Kyoto is a beautiful city on the island of Honshu in Japan, and is often cited as the cultural capital of Japan. Because Kyoto was mostly untouched by WWII, unlike many other areas of Japan, Kyoto has more pre-war buildings than all other Japanese cities combined. 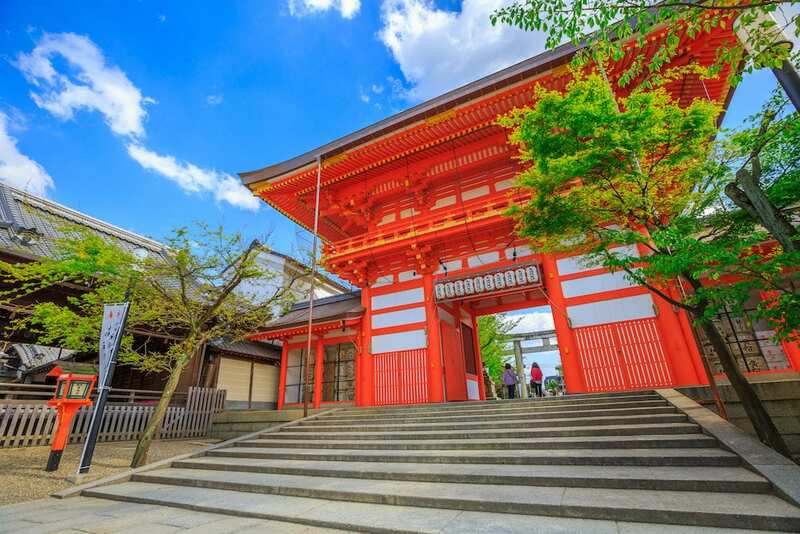 Kyoto has an impressive 17 UNESCO World Heritage sites and is home to some of the world’s oldest festivals. 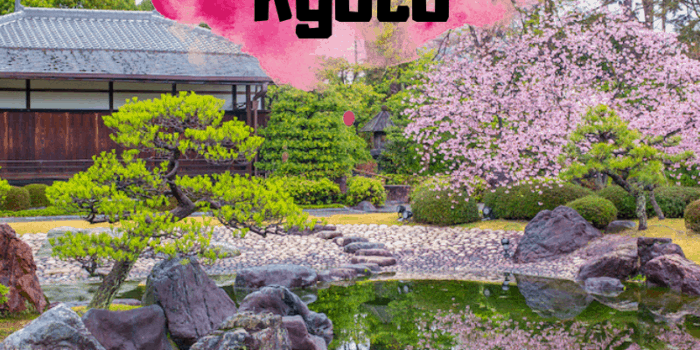 Kyoto is second only to Tokyo for the most Michelin-starred restaurants in the world, with 96 restaurants holding at least one star! 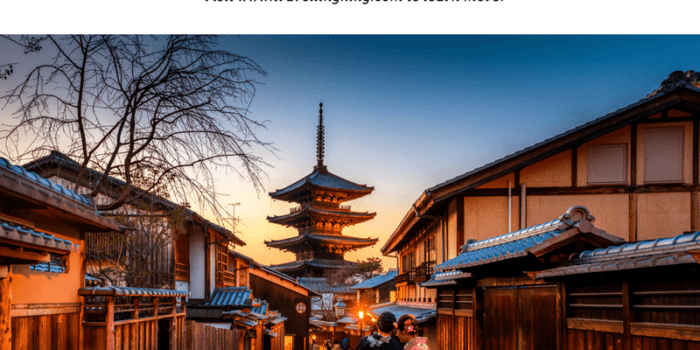 For a city of 1.5 million, that’s an amazing ratio and a great reason for foodies to visit Kyoto! 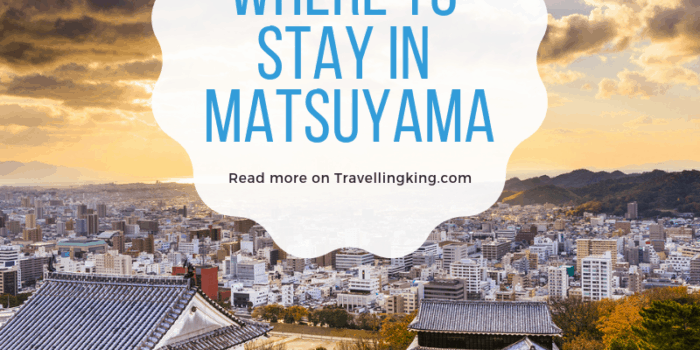 Looking for things to do in Kyoto between Michelin-star meals? 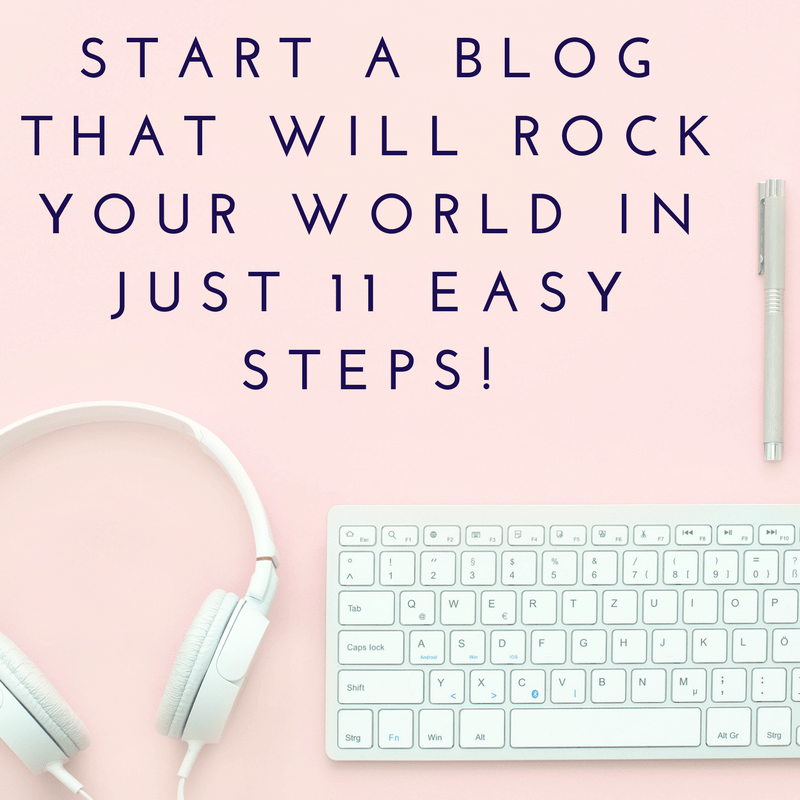 We’ve got a pretty good list to get you started! 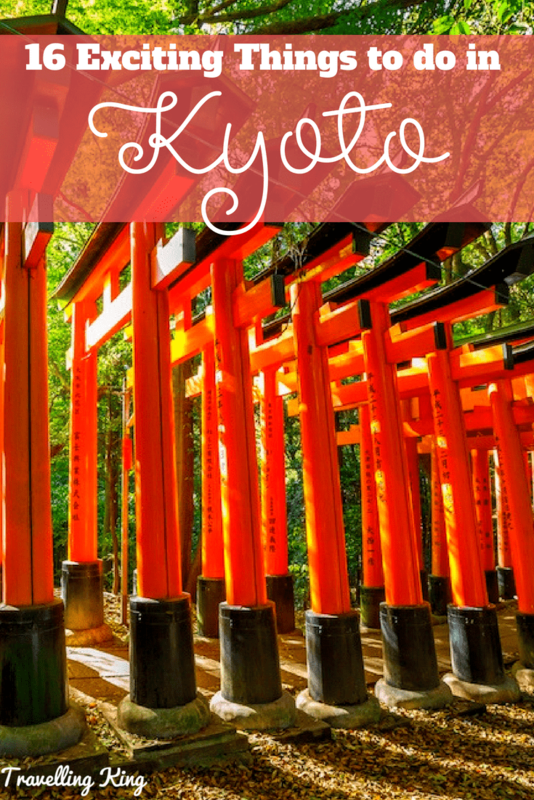 Likely the most photographed spot in Kyoto, the Fushimi Inari Shrine is a Shinto shrine easily recognized by the thousands of orange gates leading to the entrance. 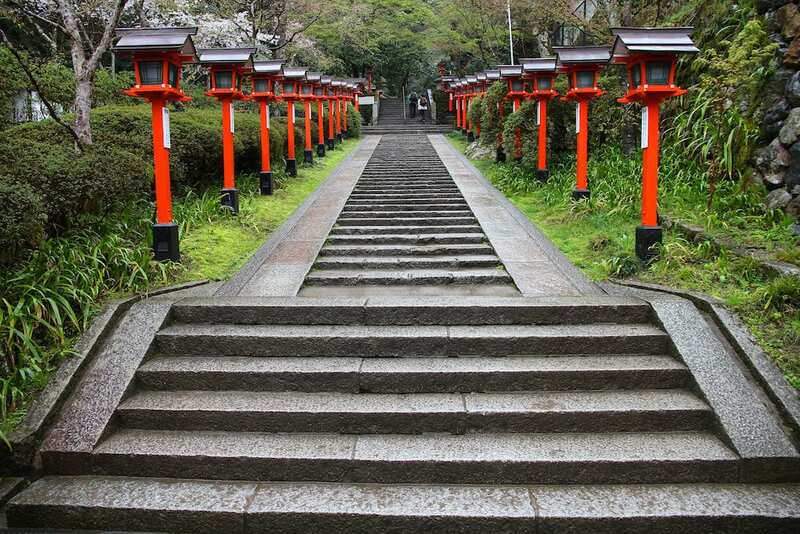 Inari is the god of rice, and this shrine is said to be the most important of many shrines dedicated to Inari. 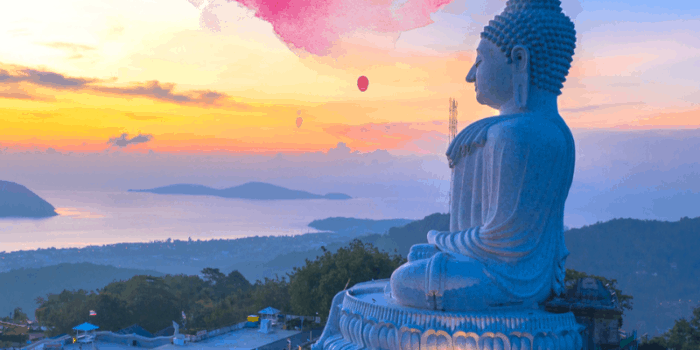 The shrine sits on a forested hill that is laced with mountain trails for hiking and walking. 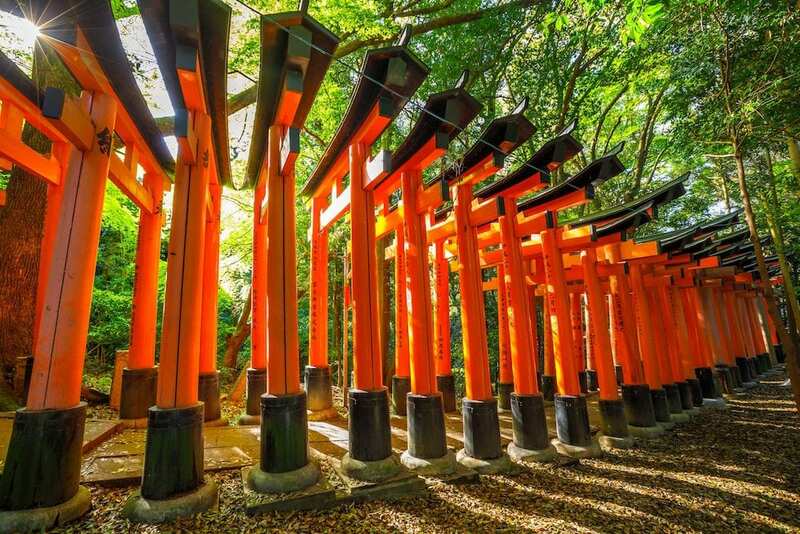 Many visitors come to hike to the summit, through the many torii gates and past a few restaurants if you choose to take a break from your hike. Admission is free and the trails are open every day. The geisha culture is very prominent in Kyoto, and Gion is Kyoto’s most famous geisha district. 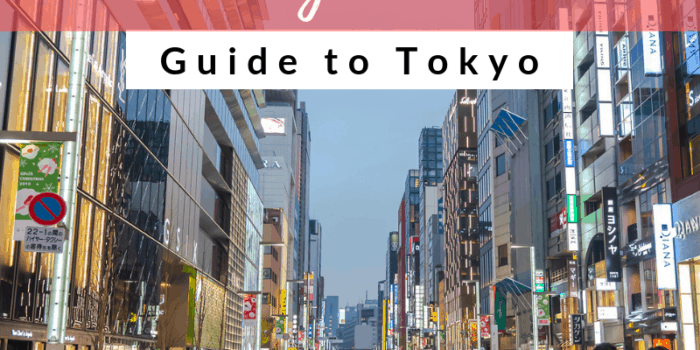 The district grew up around the Gion shrine and now has many entertainment options like bars, restaurants and tea houses. 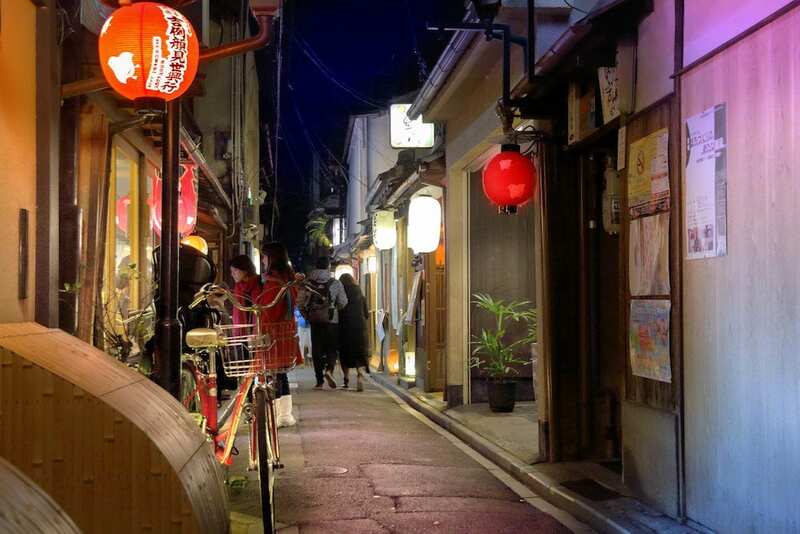 Evening is the best time to visit the Gion district as the area really comes to life when the sun goes down. 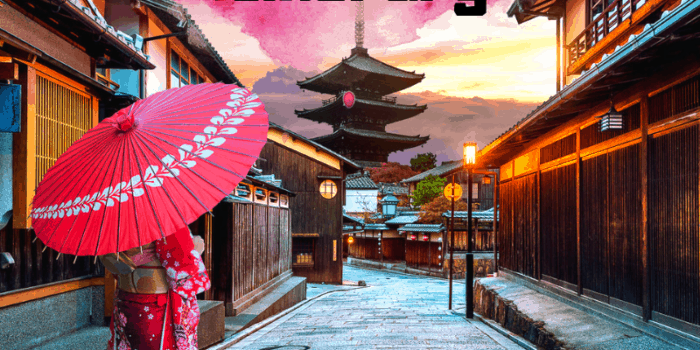 The Minamiza theater is known for kabuki productions and at the Gion Corner theater, guests are treated to an evening performance that includes a tea ceremony and geisha dance. 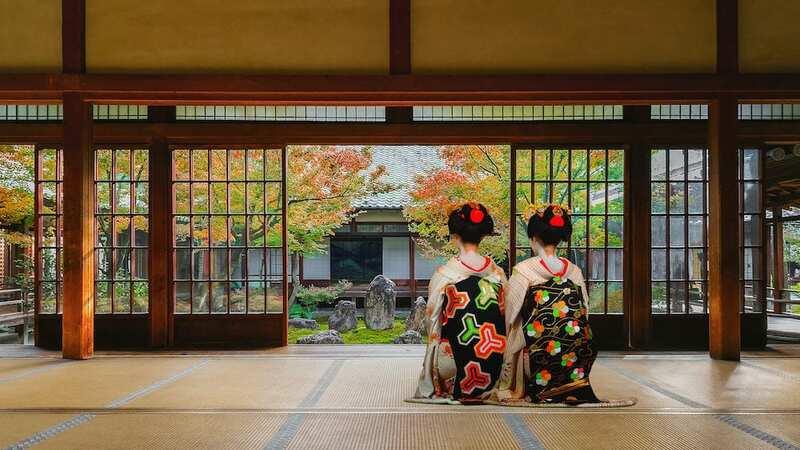 If you visit Kyoto in the spring, try to catch the spring dances by Geiko and Maiko. Geiko is what the Kyoto geisha call themselves, and the maiko are their apprentices. Each geisha district in the city holds a large performance each spring, with four in total. They generally run from late March through early May, and the ticket prices vary by performance. 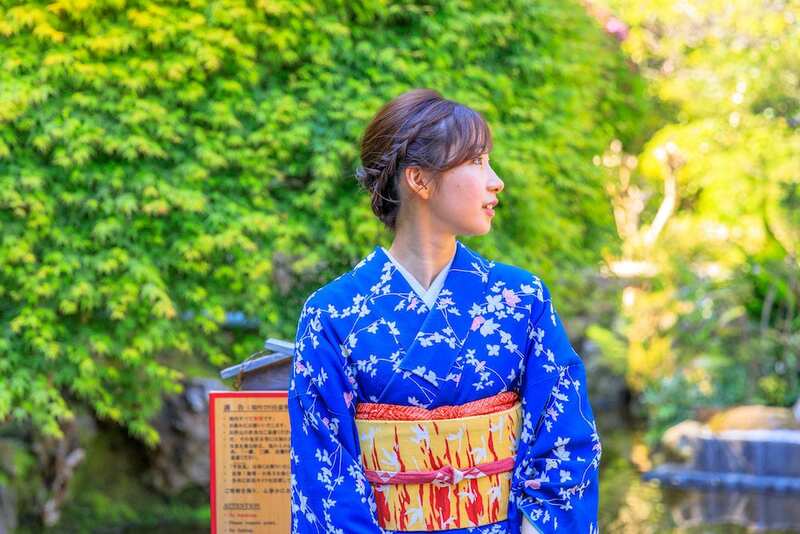 You can also upgrade your ticket to include a tea ceremony before the performance, hosted by a maiko. It’s become a popular tourist activity to visit a dress-up shop to be dressed like a geisha in makeup and costume. 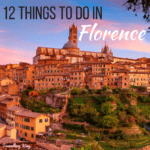 Many stores have different packages for varying prices and you can choose an outfit, or be professionally styled before taking a stroll around outside in your new threads. 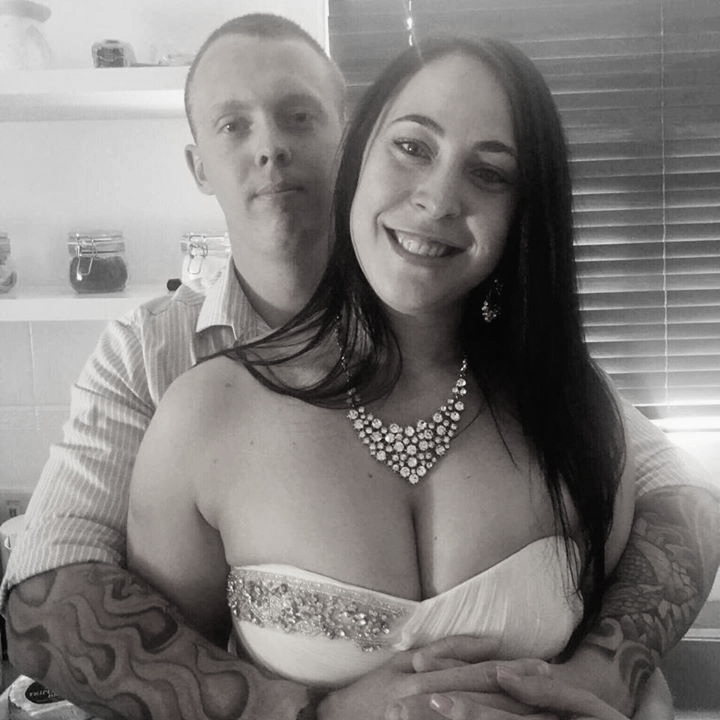 Some of them will also offer a photoshoot and/or hair styling. 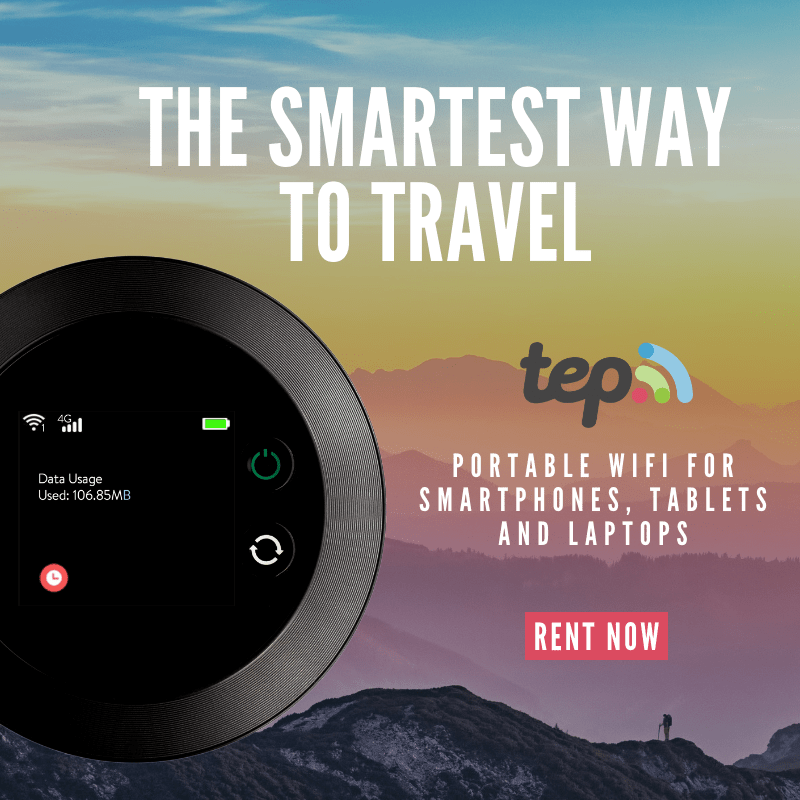 If you are carrying luggage, find a rental shop with a concierge so you can leave your belongings while you go for your walk. 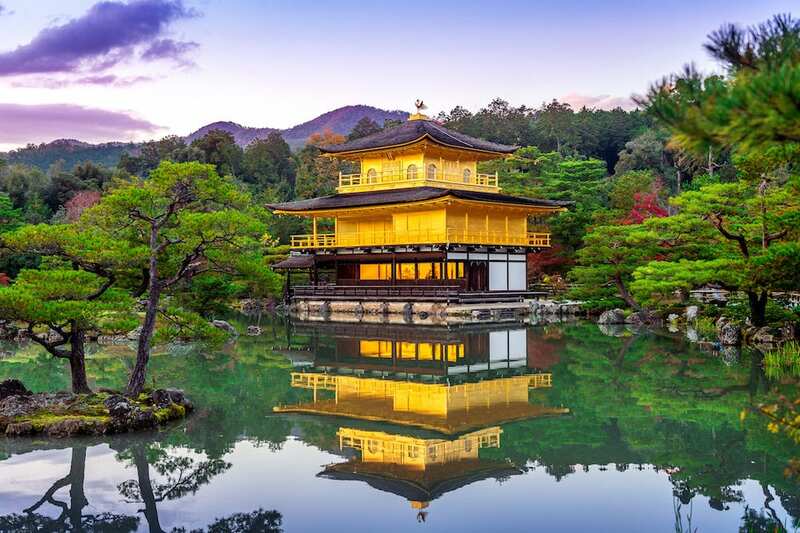 One of Kyoto’s most picturesque temples, the Golden Pavilion is a Zen Buddhist temple which is covered in gold leaf. The temple sits at the edge of a large pond, which make a beautiful reflection when the water is calm. Each of the three floors of the temple are built in a different style. 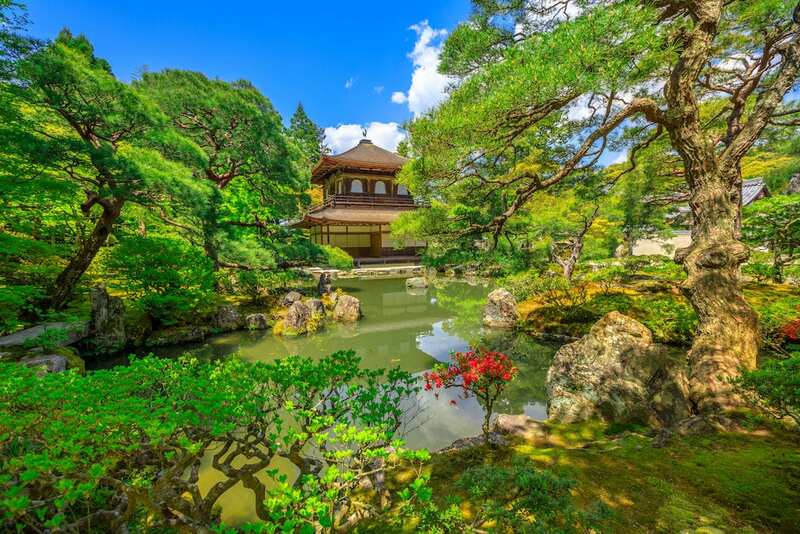 Within the gardens of the temple, there is a teahouse and just outside the gates there are souvenir shops and a tea garden. Another heavily visited Zen temple in Kyoto is the Silver Pavilion. 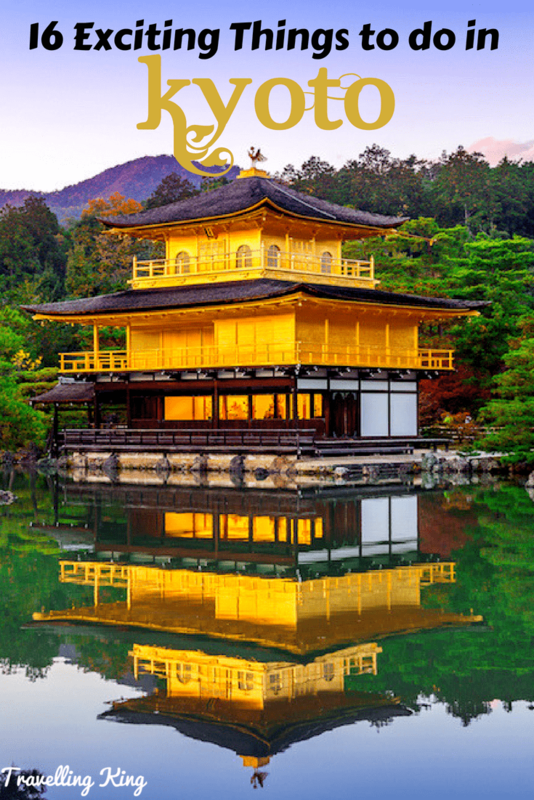 It was originally built to mimic the style of the Golden Pavilion and was planned to be covered in silver, however those plans were never realized as the building took many years to build and the visionary behind the silver exterior had passed on by then. The gardens here are a great place to take a stroll, as is the sand garden which features a small sand mountain the center. 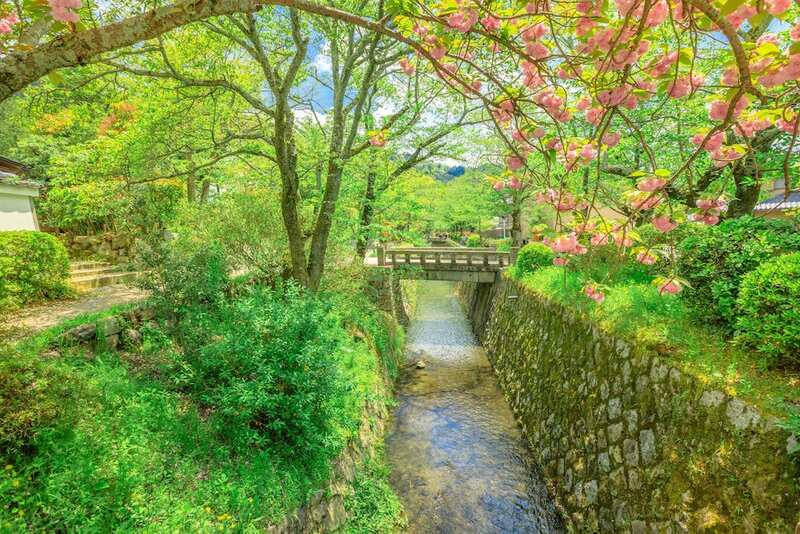 Starting at the Silver Pavilion, the Philosopher’s Path is a 2 kilometer stone path line with cherry blossom trees that follows the walking meditation path of one of Japan’s best known philosophers. The path parallels a canal, and passes many restaurants, shops and shrines. In the spring, this is a very popular spot to see the cherry blossom trees, and in fall you will see nice fall color along the path as well. 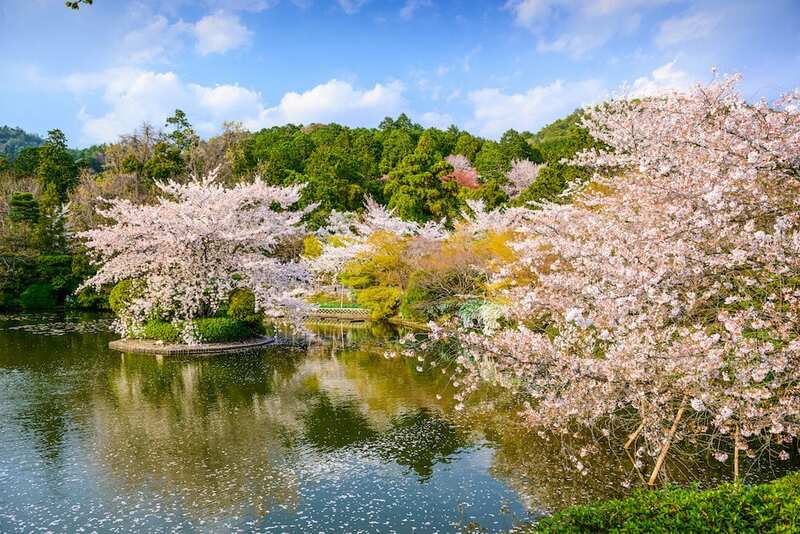 If you are coming to Kyoto for cherry blossoms or fall color, you will definitely want to visit Maruyama Park, which has been designated a national Place of Scenic Beauty. 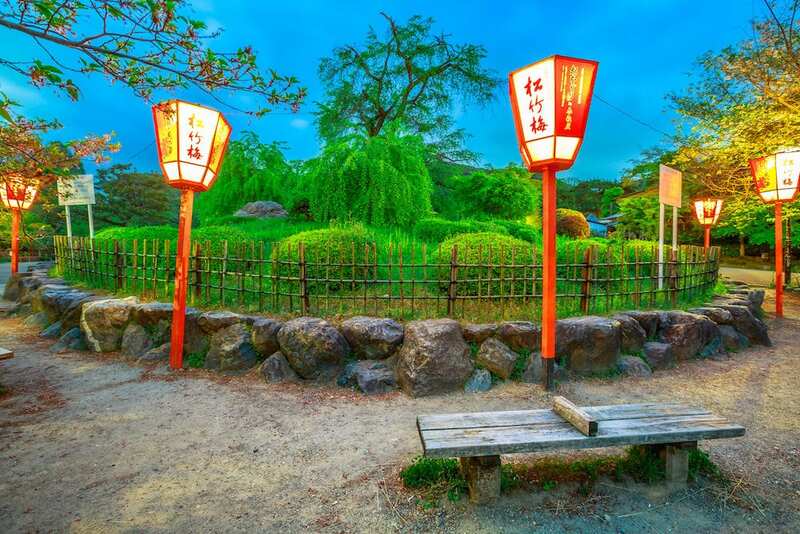 The weeping cherry tree at the center of the park is lit up in the evenings, and is a popular place for revelers to come drink beer and sake. Throughout the park you will find pathways, ponds, bridges and statues, as well as snack stalls to fuel your walking tour of the park. Ryoanji is the “Peaceful Dragon” temple, a Zen temple is most famous for the rock garden and surrounding park land. The rock garden is 250 square meters and is a place many come for meditation. 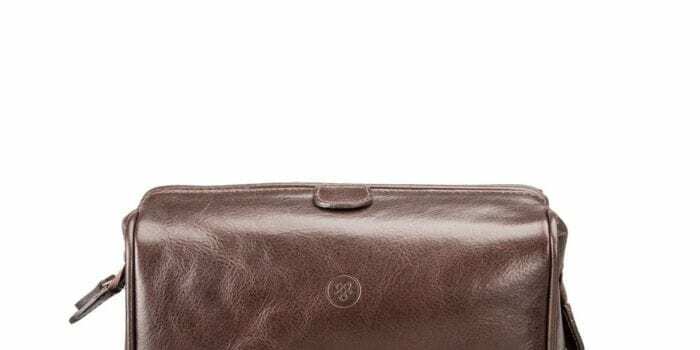 It is believe that the present design dates back to the 17th century. On the grounds, there is also a beautiful mirror pond, a teahouse and several painted doors for visitors to admire. 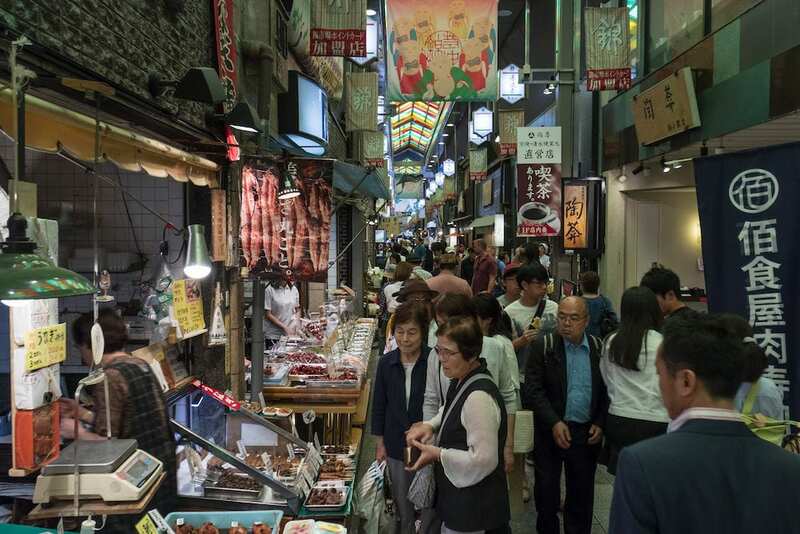 Nishiki Market is Kyoto’s central marketplace, with more than 100 shops stretching across five blocks. The site has held a market for over 400 years, and for another 300 years was a fish market. Visitors to the market today can still buy fresh seafood, fruits and vegetables, but there are also stalls selling prepared foods and cooking supply shops as well. 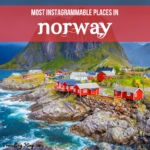 This would be a great place to take a food tour with a local guide who can help you select some of the delicacies available for tasting. Pontocho is Kyoto’s main restaurant row. 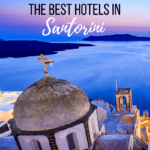 It’s really just a cobblestone alley that stretches six blocks and has been a nightlife area for over 500 years. A few of the oldest establishments here only welcome long-standing customers, but most of the dining is open to everyone, which you will find with menus and samples displayed outside the restaurant. You may have to hunt a bit for a place with English menus, though! 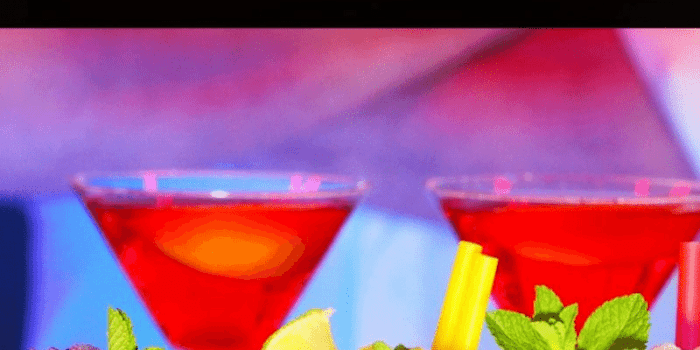 After dinner, there are plenty of entertainment options to choose from, including karaoke bars. Yokai are monsters, so Yokai street is a street lined with monsters. Shopkeepers display the yokai for good fortune, and for some reason, this street has a very high concentration of them. At select times, there is a “monster market” where shoppers can purchase their own monster art, and a monster parade that somewhat resembles an American Halloween parade. 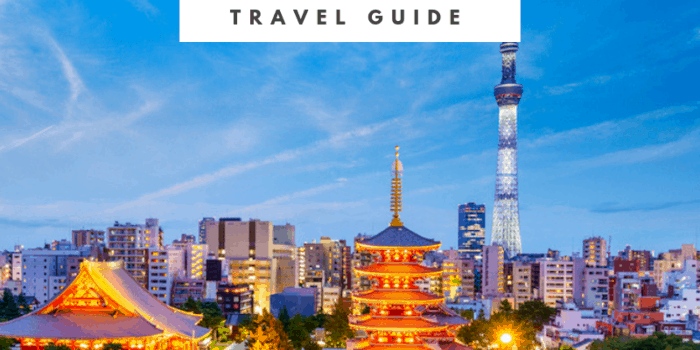 While most of the Kyoto attractions are ancient temples or historic sites, Kyoto Tower is the exception. 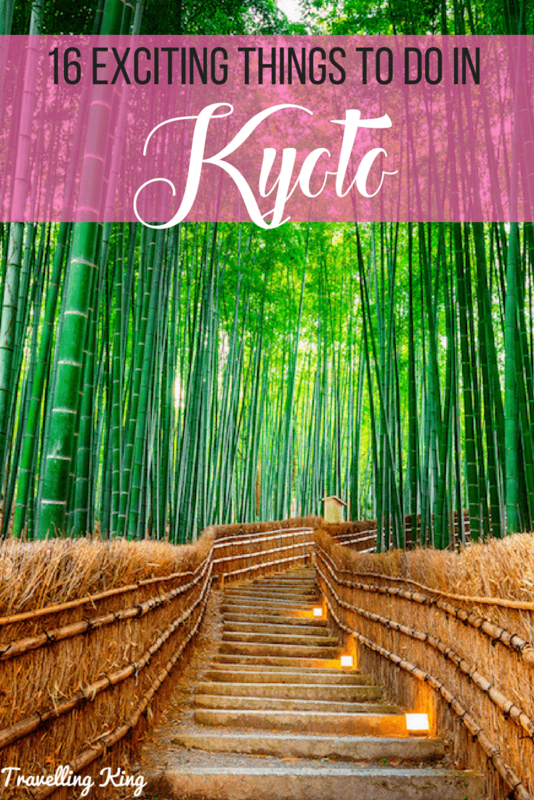 Built in 1964, it is the tallest structure in Kyoto and has an observation deck 100 meters above Kyoto. 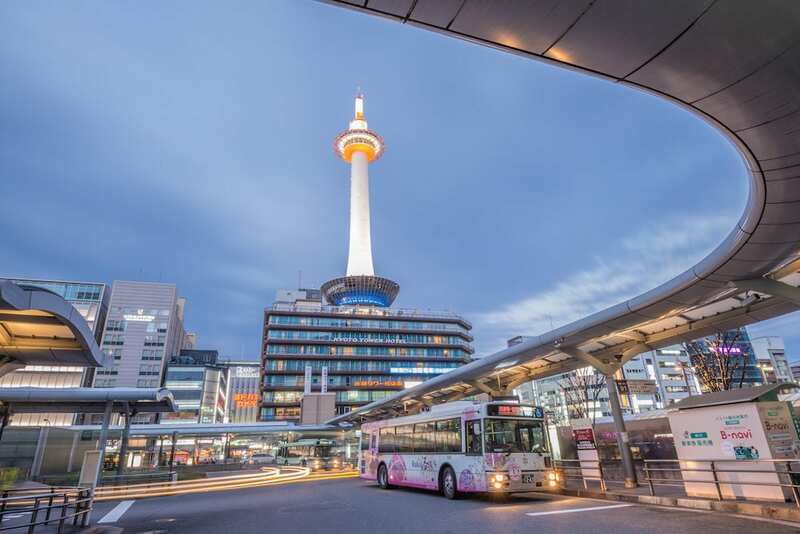 The base of the tower is Kyoto Tower Building which resembles a modern shopping mall with restaurants, shops and a hotel. Visit the Sky Lounge bar or purchase a ticket for the Observation deck for sweeping views of Kyoto and the surrounding mountains. 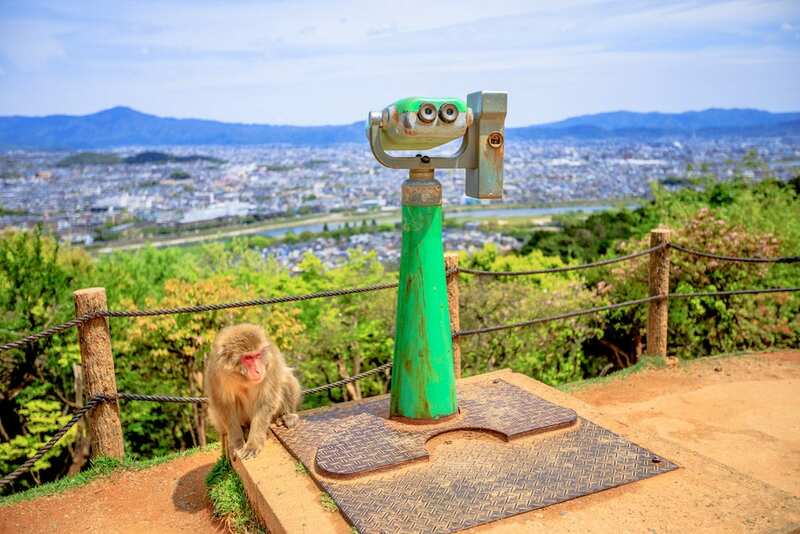 Perched on a mountain above Kyoto is a park full of Japanese Macaques, or Snow Monkeys. It’s not exactly a zoo, and although the monkeys are accustomed to visitors, you are not supposed to make eye contact or touch the monkeys as they play around you. There are set feeding times, which is the best time to visit as you can see them all congregating around the feeders. It is a nice hike up and back down the mountain, with beautiful views across Kyoto. Kurama is a mountain town about an from the center of Kyoto and the area is best known for the mountain trail, hot springs or onsen and temples. There is a cablecar you can take for part of the journey to the Buddhist temple Kurama-dera and the hot springs here. At the Kurama Onsen, there are indoor and outdoor baths for a fee. (The charge is less for the outdoor-only baths.) You can also spend the night at the onsen, and your lodging includes access to the springs. 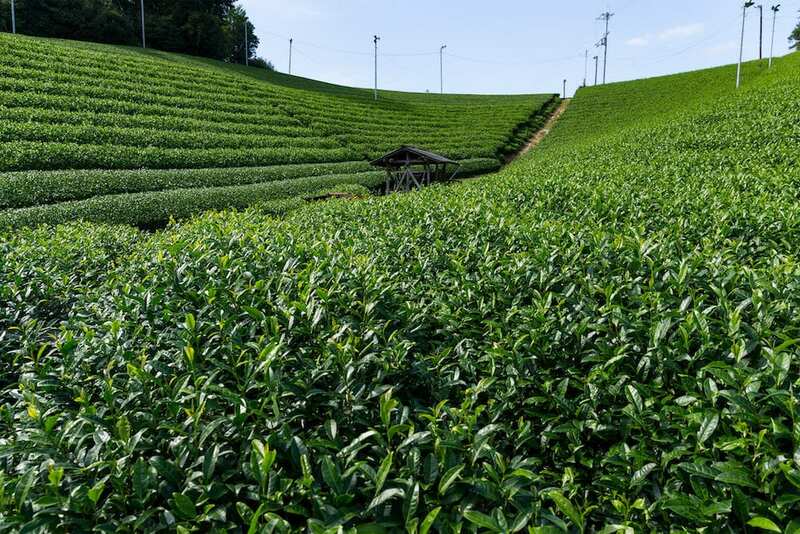 For a field trip out of the city, you can take a tour of the tea plantations surrounding Kyoto. About 90 minutes from Kyoto, you’ll find some of the first places that tea was grown in Japan more than 800 years ago. Terraced hillside fields of green tea are still harvested today and a select few are open to visitors who wish to take a tour. After visiting the source of Japanese tea, be sure to seek out a traditional tea ceremony in Kyoto.